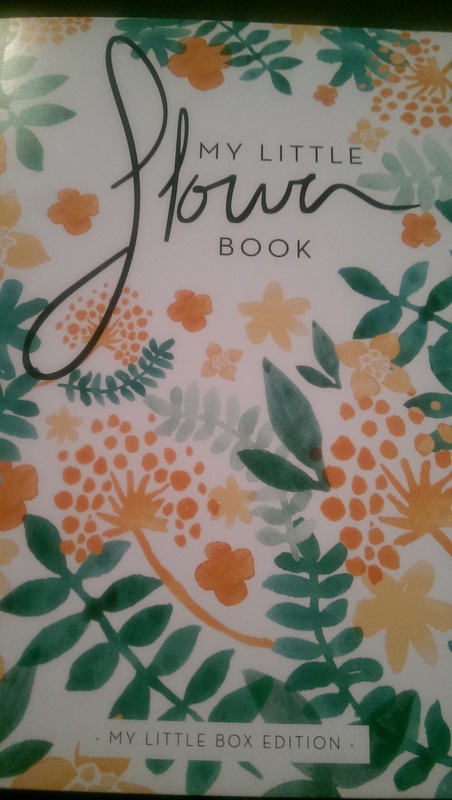 This month’s My Little Box has winged its way across the Channel in the guise of a book of flowers, or at least a box pretending to be one. The box would make a great storage place for keepsakes or make up. The floral theme continues inside. 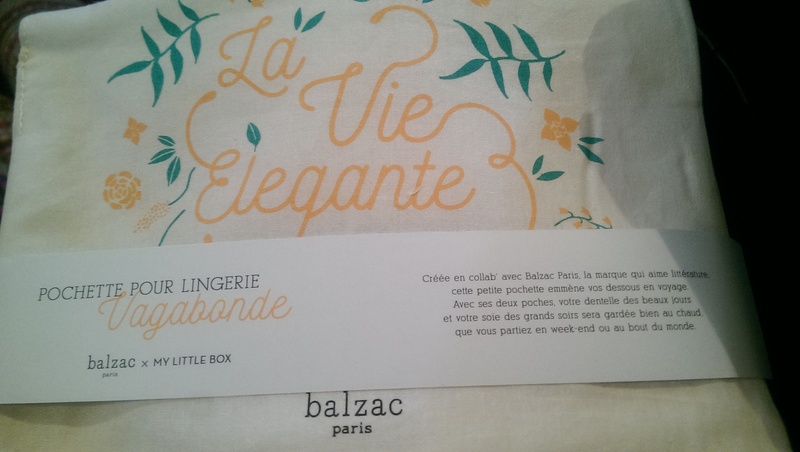 MLB have collaborated with French fashion house Balzac for this box and included a cute floral print lingerie bag – perfect for your smalls when you travel, or even at home. 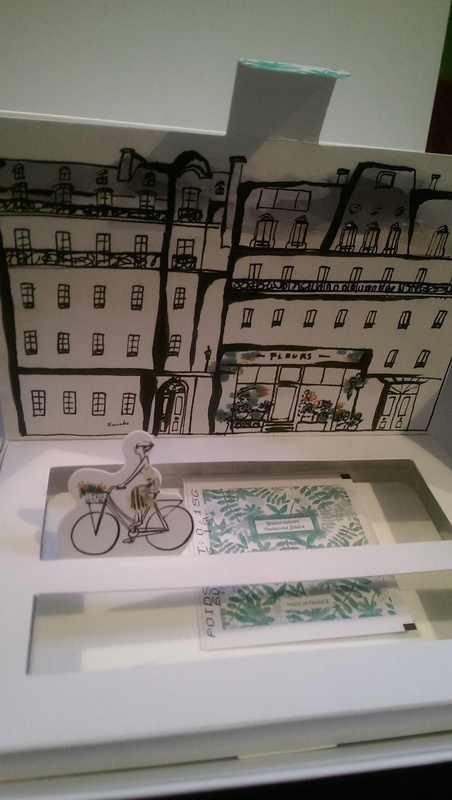 Also in the box is a tiny pop up garden, perfect for a windowsill or perhaps your desk. Seeds included, a simple, clever way to bring some greenery inside. 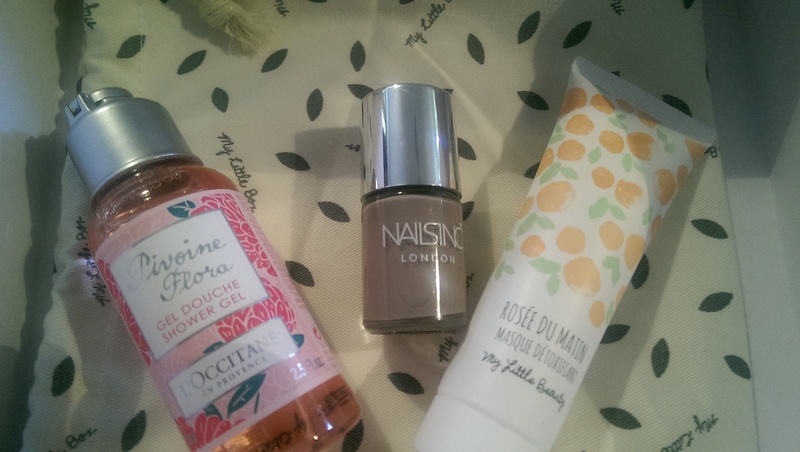 Onto the beauty bag with three items designed to make you look and smell lovely. L’Occitane Pivoine Flora Shower Gel – I love L’Occitane, and this peony scented gel smells delicious. Nails Inc polish – there’s no name on this bottle, usually named for London streets, but it’s a purple-grey colour which looks better on nails than it does in the bottle. My Little Beauty Rosy Mornings Detoxifying Mask – another yummy smelling product from the in-house beauty brand. Packed with vitamin C and designed to brighten complexions, I’m looking forward to treating my face to this colour changing mask. There’s also the My Little World magazine, with interviews, beauty tips and themed articles to enjoy while the weather makes its mind up.